Home > Staff > Jessie Vinje, B.S. Jessica is a biologist with 17 years’ professional experience in field biology, botany and land management throughout California with a strong background in coastal and desert ecology, botany, wildlife biology, and desert and coastal natural resource management and restoration. 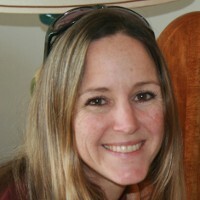 She is particularly knowledgeable of the Central and Southern California Coastal area and Coastal ranges, Western and Central Mojave Desert, and Central and Southern Sierra Nevada Mountain Ranges where she has surveyed for and located more than 100 threatened, endangered, or sensitive California plant species. In addition, she has experience conducting coastal California gnatcatcher, least Bell’s vireo, and desert tortoise protocol level surveys, monitoring and managing of sensitive plants and animals, analyzing trends, and protecting these sensitive species and their habitats. Additional experience includes mapping vegetation communities, preparing annual reports, annual work plans and budgets, and habitat management plans, identifying threats to sensitive species and monitoring, controlling or eliminating these threats using various weed management techniques (chemical, cultural, and mechanical), restoring and enhancing wetland and upland habitats, creating public outreach literature and hosting public outreach events and volunteer work days, and working with agencies and clients on restoring degraded habitats. CBI worked with San Diego Management and Monitoring Program (SDMMP) and San Diego land managers to conduct a comprehensive review of existing information for San Diego thornmint, Acanthomintha ilicifolia. An Endangered Wildflower and Local Food Production – Is There a Link?